I read this article and found it very interesting, thought it might be something for you. The article is called India’s Top Green Spend States; Chhattisgarh & Madhya Pradesh and is located at https://archive.indiaspend.com/states/indias-top-green-spend-states-chhattisgarh-madhya-pradesh. Not that it might be a burning concern at this point but do you know which Indian states could lead the spending sweepstakes in tackling climate change and diminishing forest cover? IndiaSpend’s Danielle Collaco filed a Right To Information (RTI) with the Ministry of Environment & Forests to find that Chattisgarh, Madhya Pradesh & Maharashtra lead the table with the maximum allocated spend from the Central Government to take on global warming, at least for the kick-off (preparatory) efforts. The spends form part of the National Mission For A Green India, a 10-year-long project that will span the 12th and 13th Five Year Plan periods. The main focus of the Mission is to add about 5 million hectares of forest cover and improve the quality of forest cover on another 5 million hectares. Incidentally, forests and trees account for about 23.8% of the country’s geographical area. The Forest Survey of India released a report earlier this year saying India’s forest cover declined by about 367 square kilometres since 2009. A total of Rs 46,000 crore has been set aside for this Mission for 10 years, starting 2012-13. Of this, the Centre’s share will be Rs 34,000 crore and the States’ share will be Rs 12,000 crore. This is an increase of about 55% over and above the ongoing outlay of about Rs 8,500 crore per year for forestry. The Ministry of Environment and Forests has said that the funding for the National Mission For A Green India will be met through three ways. The first will be from schemes or funds such as MGNREGS, Compensatory Afforestation Management and Planning Authority (CAMPA), National Afforestation Progress (NAP), Integrated Forest Management Scheme, the 13th Finance Commission Award and schemes of other Ministries that come under this mission. Additional funding will be met through the National Clean Energy Fund and budgetary support through the Ministry of Environment & Forests. About Rs 227.05 crore has been allocated for the mission for 2012-13 in this year’s budget. The year 2011-12 is classified as a preparatory year for the mission and the government incurred an expenditure of almost Rs 50 crore on various preparatory activities. These ‘preparatory activities’ include outreach, micro planning, nursery development, landscape survey, Entry Point Activities (EPA) and soil moisture conservation. The Green India Mission states that this mission will result in improved fuel use efficiency and alternative energy devices for some 3 million households. It will also result in a livelihood enhancement; there is a provision of Rs 15-20 lakh for each village; and there are about 30,000 villages. 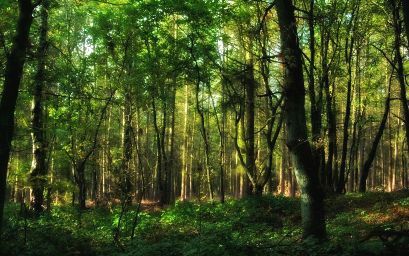 However, one of the most important outcomes to note is that the new and restored forest areas will act as a carbon sink. They are expected to absorb an additional 43 million tonnes of green house gases every year. This means that India’s forests will be able to absorb 6.35 per cent of the country’s annual emissions by 2020. The preparatory allocations are no indication of what the allocations for subsequent years will be. And where will those funds go? IndiaSpend will be tracking this space closely though and bringing up updates on spends and nature of spends as they happen. Why has the Centre left Goa out of this largesse?